Despite a lack of support from Hollywood, many loved Toronto's film festival during its premiere edition in 1976. 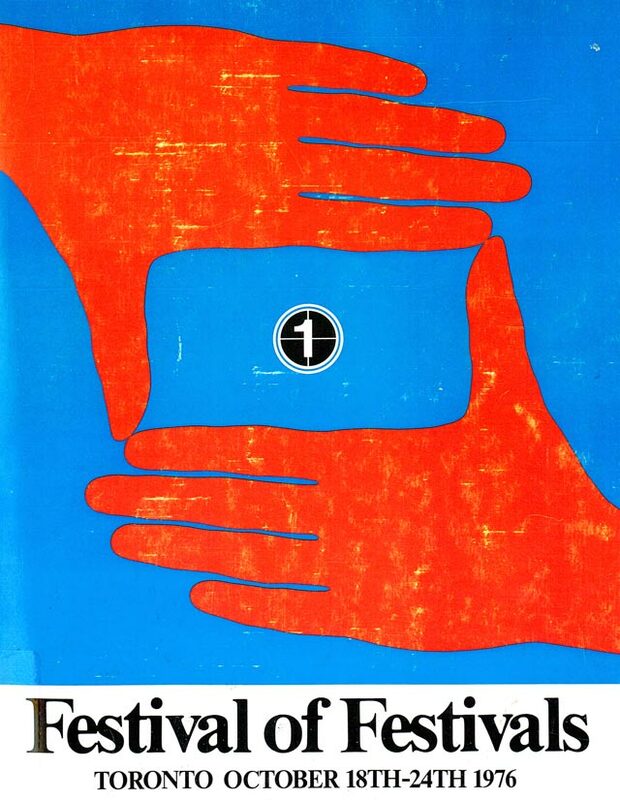 Cover of the program for the 1976 Festival of Festivals. Glitz, glamour, and stars galore. Beyond the movies, these are what one tends to associate with the Toronto International Film Festival. While Hollywood embraces TIFF with open arms now, the welcome was anything but warm when it began as the Festival of Festivals in October 1976—it took skilful programming and the anger of American critics to make the major studios take notice. During the mid-1970s, Hollywood studios ignored North American festivals and their requests for prints of various films, for fear the screenings would depress box office figures when the movies later went into wide release. Though organizers in Toronto hoped that a less short-sighted mogul would let them show a potential blockbuster during the festival’s opening night, none were released to the festival—not even films partly shot in Toronto like Network and Silver Streak. Canadian subsidiary theatre chains like Famous Players wanted to help, but failed to convince the suits to release anything to the festival. It was a situation that made organizers as mad as hell. Festival director Bill Marshall felt the American studios were “just masquerading as a part of the Canadian industry.” He told the Star that “They got a cheque worth $63 million in net film rentals from Canada last year. They take it out, and put nothing back in. To the New York offices, Canada is regarded like Cleveland or Cincinnati. They just look at us as a big bag of money and they don’t have to do anything about it.” The lack of major commercial entries proved beneficial for independent American films, and resulted in screenings of new documentaries like Grey Gardens and Harlan County U.S.A. that proved influential for future filmmakers. 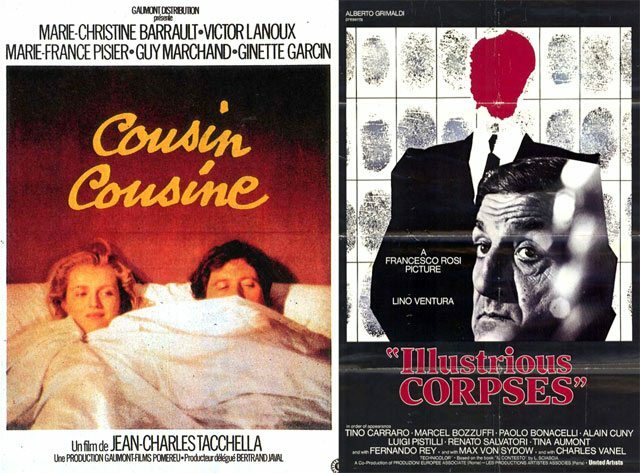 Posters for two of the films given gala presentations at the 1976 Festival of Festivals: Cousin, Cousine and Illustrious Corpses (which was titled The Context during its festival run). Also missing were the high-profile names rumoured to be coming. Due to scheduling conflicts, outright refusals or miscommunication, local paparazzi were denied the chance to chase after Claudia Cardinale, Julie Christie, Dom DeLuise, Sergio Leone, Marcello Mastroianni, Jack Nicholson, Martin Scorsese, or Robert Towne. Instead, they could only have snapped people like Dino De Laurentiis (who provided a 90-second preview of his remake of King Kong), Darren McGavin (the old man from A Christmas Story), and blaxploitation actor/director Fred Williamson. Additional material from the October 19, 1976 and October 25, 1976 editions of the Globe and Mail; the October 16, 1976, October 18, 1976, and October 25, 1976 editions of the Toronto Star; and the October 19, 1976, October 20, 1976, October 22, 1976, and October 25, 1976 editions of the Toronto Sun.